Lush’s third full-length album Split offers the band’s usual mix of delicate and hard-hitting arrangements featuring the high harmonies of vocalists-guitarists Miki Berenyi and Emma Anderson. 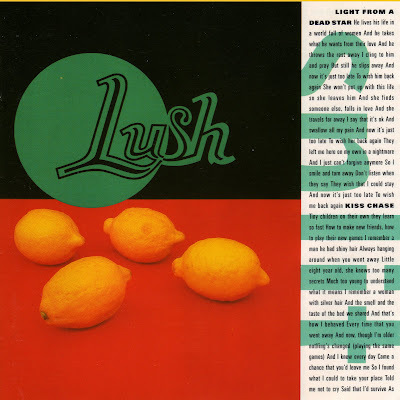 There’s plenty of atmosphere, but this time out, Lush is working with more conventional song structures. The opening track “Light From A Dead Star” floats through on Anderson and Berenyi’s angelic voices, but it’s the angry and guitar-driven “Hypocrite” that’s likely to garner the most attention as the first single and video. “The Invisible Man,” a spooky track anchored by bassist Phil King and drummer Christopher Acland, serves as another highlight. Lush weaves a number of deceptively sunny melodies throughout Split, masking the underlying sadness of the lyrics. “Lovelife” uses striking imagery in its depiction of a suffocating relationship while “When I Die” deals with the loss of a loved one. At least the catchy “Lit Up” offers a glimmer of hope.